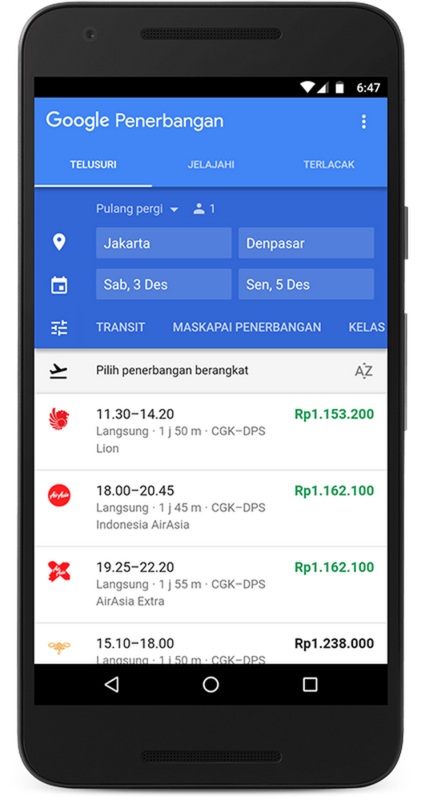 Whether you’re traveling from Jakarta to Sydney or Medan to Bandung, Google Flights can offer inspiration and help you find the best flights available. 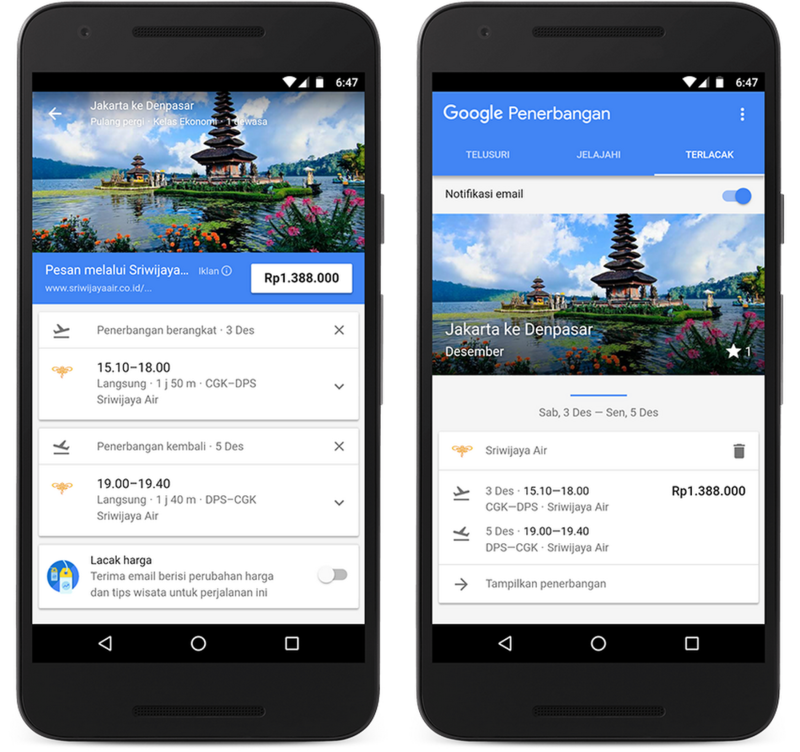 Starting today, you can search www.google.co.id/flights to quickly and easily compare and book flights — from your mobile device, tablet or desktop. 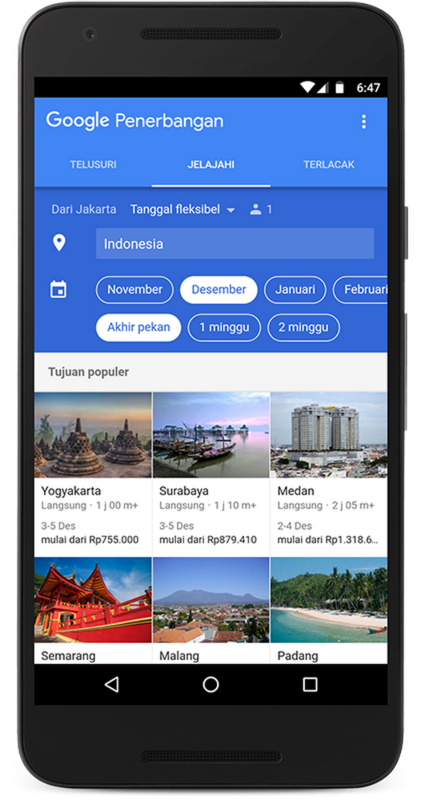 And you’ll be able to see local content and pricing in Rupiah. Still trying to figure out where you’d like to visit and the best time to go? Try using our new Explore feature on mobile to find ideas on destinations to visit based on dates and trip duration. For example, if you want to get away for a holiday next month you can choose “1 week” and “December” to see popular destinations — with the best time to visit and the lowest price available to get there. Scroll through the suggestions and click on one of the tiles that interests you. You’ll see a snapshot of the least expensive flights available (with price, stops and duration for flights).